A certain mutant is about to crash land in the middle of your collection! 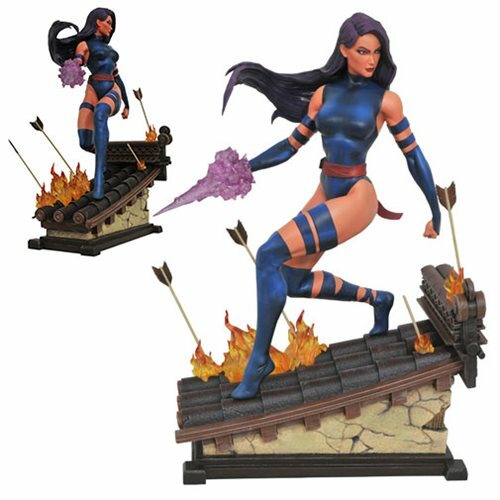 This 12-inch-scale resin statue depicts Psylocke on a burning rooftop, surrounded by ninja arrows. Sculpted by Alejandro Pereira, the Marvel Premier Collection Psylocke Statue will delight X-Men collectors. Ages 13 and up.